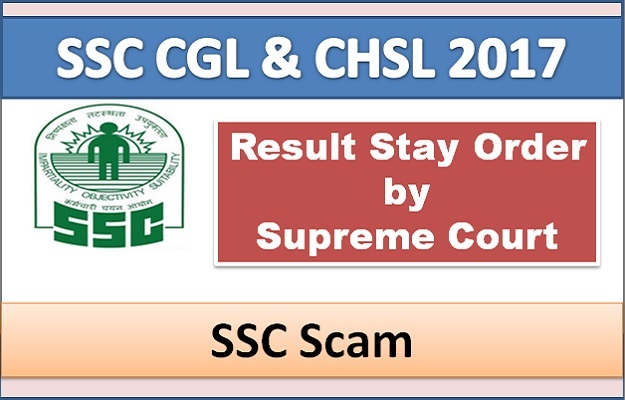 There is a big news for all SSC CGL 2017 and SSC CHSL 2017 candidates who are eagerly waiting for their final result to be out and get a secured post as soon as possible. But it is apparent to guess from the Supreme Court’s latest statement that the news is unpleasant as it says that “Supreme Court today stayed the declaration of results of Staff Selection Commission (SSC) Combined Graduate Level (CGL) Exam, and SSC Combined senior secondary level 2017 exams.’’ The court also said prima facie the entire SSC recruitment system and examination are tainted. Let us recall that there were large scale protests by students against the alleged paper leak of CGL exams last year, which led the government to order a CBI probe into the same. The government ordered probe after the SSC recommended an inquiry by the CBI into the allegations of leak of questions of the Combined Graduate Level (Tier-II) Examination 2017. Later on, some miscreants were again caught by the Police in its investigation practicing cheating in SSC CHSL 2017 Tier-1 Examination on some specified Exam Centres/ Coaching Centres. The first level of the SSC CGL 2017 examination had taken place in August last year and conducted the second level between February 17 and February 22 this year. 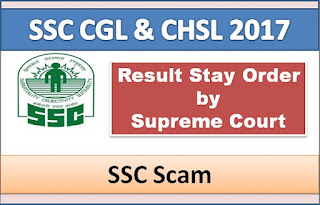 It can be concluded from Supreme Court’s Decision that SSC CGL 2017 and SSC CHSL 2017 final results are going to make you wait for a little longer.